Croatia is an up-and-coming travel destination, and it holds the attraction of the new and as-yet-unseen for many. But where in the world is Croatia? It's part of the Balkans in Eastern Europe, bordering the Adriatic Sea with a long and famously gorgeous coastline. This coastal country can be found on the lower right-hand side of a map of Eastern Europe on the Adriatic Sea. If you can find Italy on the map, you can trace your finger across the Adriatic until you hit the opposite coast. Croatia is broken into regions, which are historical designations that continue to reverberate with the influence of the past. Istria is the peninsula in the north of the country and borders Italy. Dalmatia takes up the southern portion of the country and much of its coast. Croatia proper covers much of inland Croatia and contains its capital, Zagreb. Slavonia takes up the easternmost portion of the country's territory. When the weather is warm, you can catch a ferry from Italy into one of several ports in Croatia. You can fly into Zagreb or other international airports in or near popular destination cities year-round. if you're going to Zagreb, catching a train from another European city is a good option. For the high season, it is best to book transportation and accommodations well in advance because Croatia is increasingly on travelers' radar. 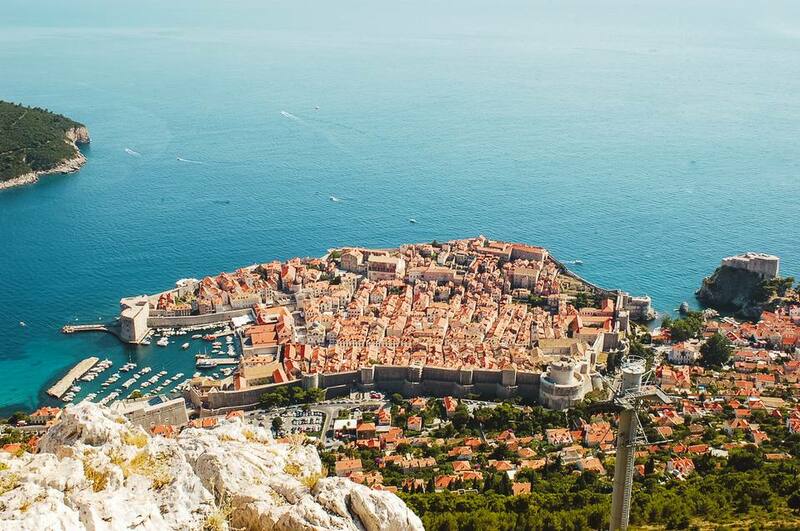 TV shows shot in its historic cities, celebrities relaxing on its beaches and cruises that make stops in Croatia have brought it into focus. Travel during the off-season is a good option. While flights might be fewer and ferries might be less frequent or cover fewer routes, the weather is mild on the coast during the winter, and historic centers that would be otherwise packed with tourists can be visited more freely and easily. But you might get hit with snow and cold weather in inland cities if you travel in the wintertime. Croatia's coast and inland regions offer impressive views, ancient monuments, local delicacies, natural wonders, and memorable experiences. Many travelers choose to explore the coastline, which is accessible via the Adriatic Highway. This highway curves around bays and clings to cliff sides, following the country's western edge from the north to the south. Along the way, many ancient towns and cities welcome visitors, who stop to view ancient architecture from the Greek and Roman eras. Croatia's islands—more than 1,000 of them—expand the country's territory into the sea. Many islands are inhabited and can be visited, particularly during high season, when ferries run more regular routes between them or from the mainland. Many of these islands produce local cheeses or wines or their people are famous for crafts like lacemaking. Inland Croatia attracts less attention because the spectacular coast and islands are hot spots for vacationers, but Zagreb and Croatia's natural landscapes, like that found in the famous Plitvice Lakes region, are also important to see to get the most thorough understanding of Croatia as a whole. You can cover much of Croatia, and certainly all the coast, islands, and important history and culture, in a stay of 10 days to two weeks.